Immense waves crashed against black volcanic rock on the wild stretch of beach seen from Highway One. 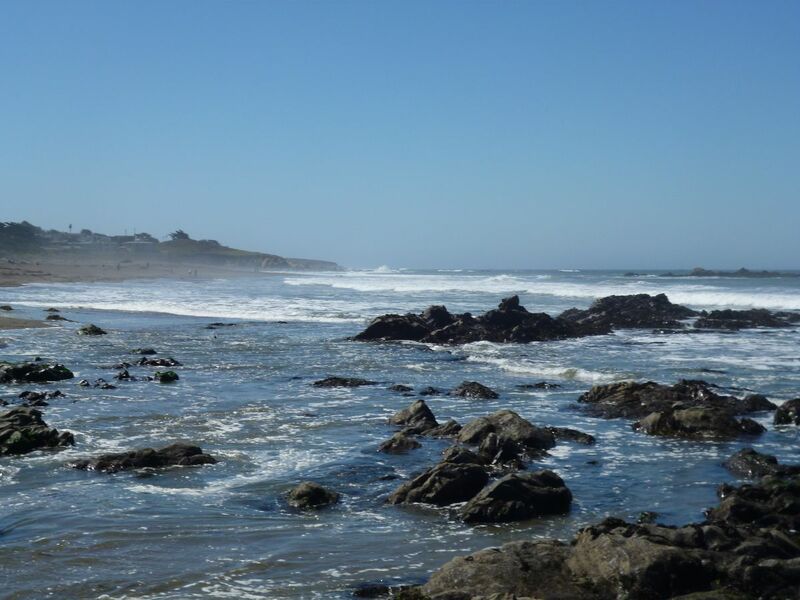 I was on my way to Piedras Blancas three miles north of the infamous Hearst Castle. Each year thousands of elephant seals haul on shore to birth their young. Friends of the Elephant Seals have built a boardwalk that allows easy viewing of the blubbery matrons and their helpless offspring. An ear piercing pandemonium had set in the day I arrived in late January. A King tide was thundering onto the shore, taking out the beach and stressing the females. Their babies cannot yet swim. It takes them six weeks to gather enough strength and bulk to enter the sea and fend for themselves. At that point their mothers, having lost thousands of pounds in the process of bringing them into the world, return to the ocean depths to feed. They will return in the summer to molt and rest up for the next round. To see this spectacle, pull into the parking lot on the side of Hwy 1, but if you want to see these behemoths playing in tide pools, go to the parking lot about a 100 yards north of the main event and take a stroll on the bluffs. This pleasant meander through grasslands is part of the California Coastal Trail. 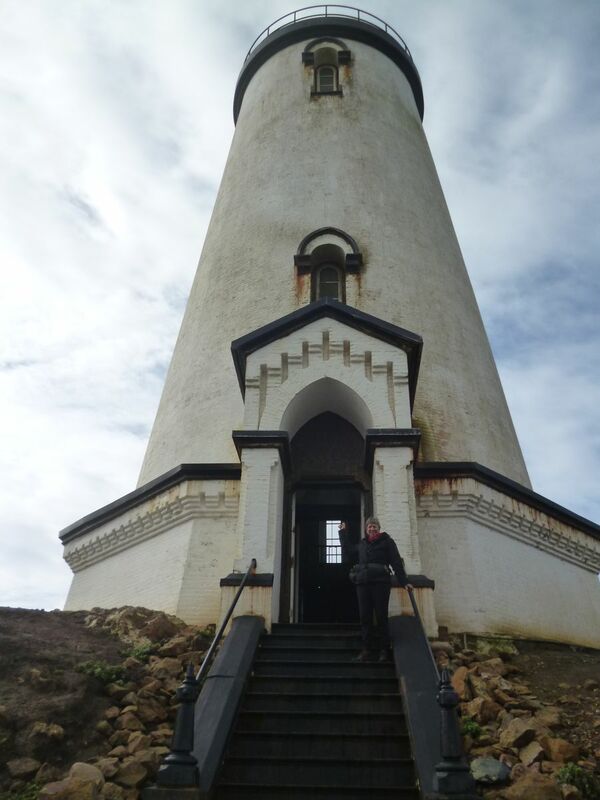 In the distance is the Piedras Blancas Light Station, first illuminated in 1875. Life was difficult on this isolated point jutting into rough seas that brought many a ship to ruin. Electricity did not come to the families who home-schooled their children until 1939. Docent-led tours take you on an easy stroll of the grounds that are choked with wildflowers in spring. The light house has been selected as a designated viewing spot on the newly initiated Whale Trail. Six sites along the Central Coast from Avila to Big Sur have been added to the list that begins in British Columbia and will extend all the way to Baja in Mexico. The practice of identifying the best places to spot spouts on the coast is an effort on the part of several non-profits to bring awareness to the public of the migrations of these creatures that can be witnessed from land. The hope is that it will generate sensitivity to the needs of the creatures to survive in our modern world with congested shipping lanes and pollutants in our oceans. 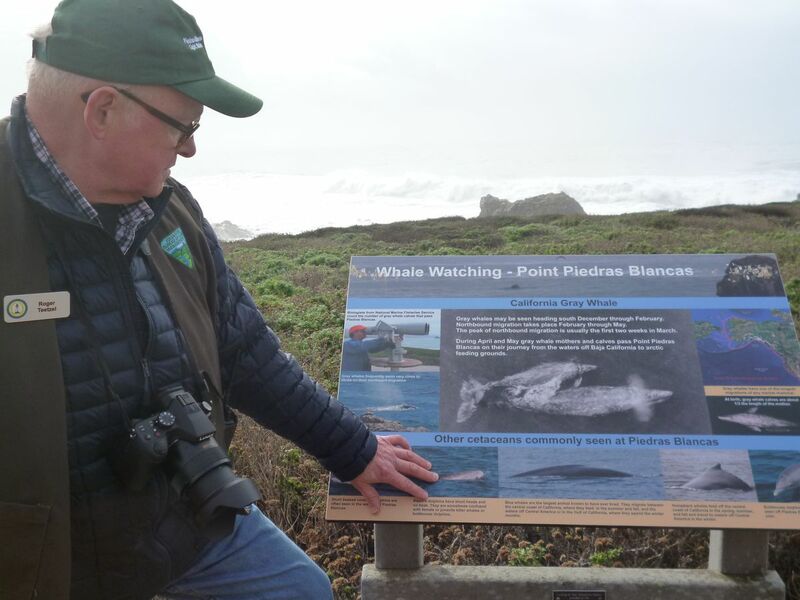 The placards on the Whale Trail tell viewers what marine life they can expect to see at that point and information on how to identify the various marine mammals. 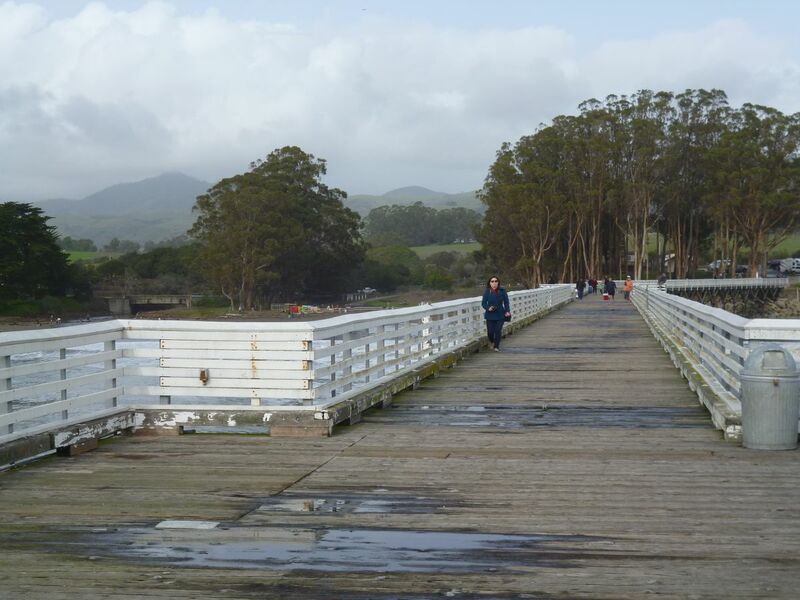 The pier in San Simeon Bay is on the Whale Trail as well as being the home of the Coastal Discovery Center. Docents take kids to the end of the pier, drop a line in the water to take a sample, and then place what they collect under a microscope to let the kids see the squiggling life forms in one drop of water. This is an effort to encourage stewardship of our precious oceans and the creatures who live in them. Locals want to show off their gorgeous region, and they love to share the trails and their knowledge of flora and fauna at no charge, but they are encouraging stewardship travel. You can pick up a Stewardship Traveler Clean-Up Kit and appreciation tote bags at Avila Beach, Cayucos, and Cambria visitor centers. 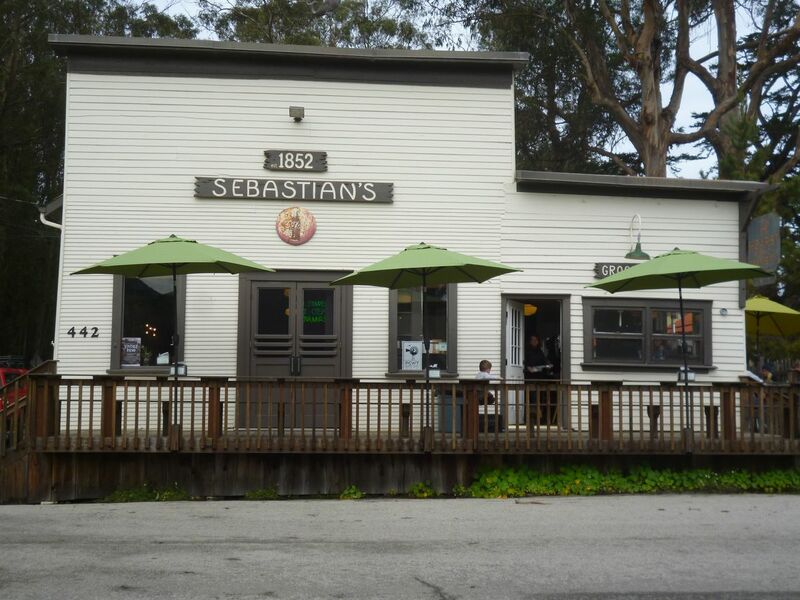 The Sebastion General Store (built 1852) that once provided goods to whalers and fisherman working in the San Simeon Bay is now a wine tasting room and a great place to fuel up. The flavorful beef in the giant hamburgers served here comes from the Hearst Ranch. In 2007 the Hearst family sold this stretch of wild coast to the State of California preserving its rich history and rugged beauty for all of us to enjoy. Highway 1 Discovery Route http://highway1discoveryroute.com/. Whale Trail http://thewhaletrail.org/.